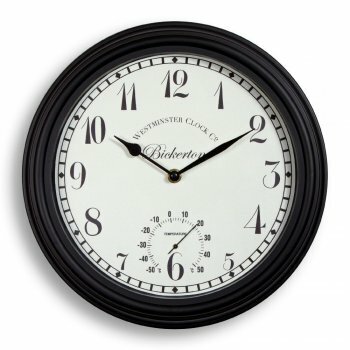 The simple but stylish Bickerton clock features a metal effect surround and has a built in thermometer. It is fully weather resistant and so is great for indoor or outdoor use. The Bickerton clock requires 1 x AA battery (not included) and comes gift boxed.